A nail is a pin-shaped fastener used in engineering, woodworking or construction. It is a relic, used to crucifix Christ. It is an ordinary daily object, that means nothing if not in function. It is this nothingness that inspired artist Günther Uecker (1930) to use it in his art. Uecker makes, since 1957, the most poetic pieces of art from nails. He makes fields of nails, embossed prints of nails and uses the nails to make dots, and traces. Every year, since his first nail picture he adds another nail composition to his oeuvre. 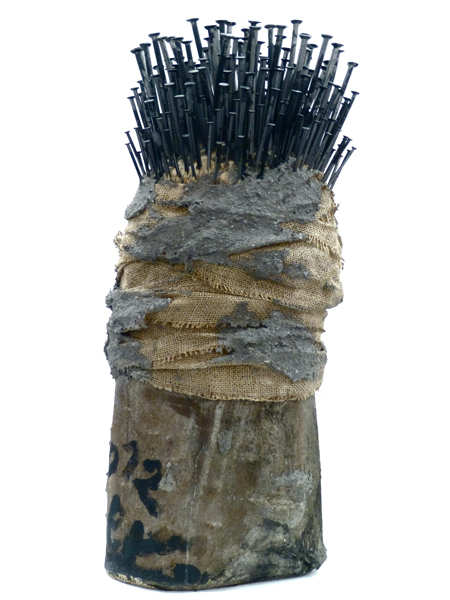 He intuitively combines the iron nails, with materials, that age well, like linen, stone, sand, earth and ashes. Uecker’s pieces made more than half a century ago only improve and empower by ageing. 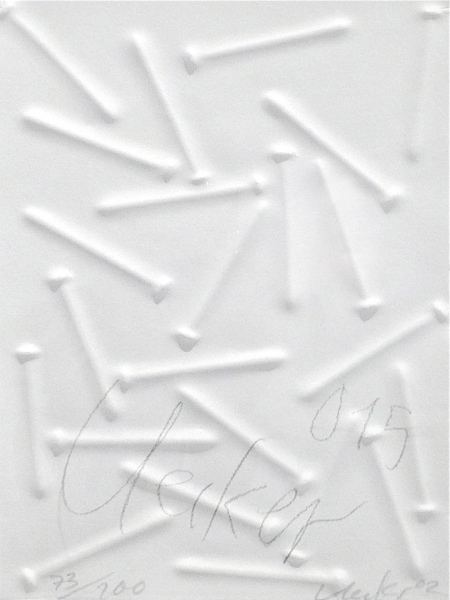 At Art Cologne Uecker’s work was exhibited by multiple galleries. He is present in the traveling Zero exhibition in Berlin, New York and Amsterdam 2014/15. Living and working in Düsseldorf the Kunstsammlung Nordrhein-Westfalen is honouring him with a survey exhibition that offers an overview of this multi-faceted oeuvre from a contemporary perspective. An impressive exhibition that reveals that a nail in the hands of Uecker is far beyond a piece of iron. Bunker 599, in use from 1815 untill 1940, is one of the 700 bunkers forming a Dutch military line of defence. 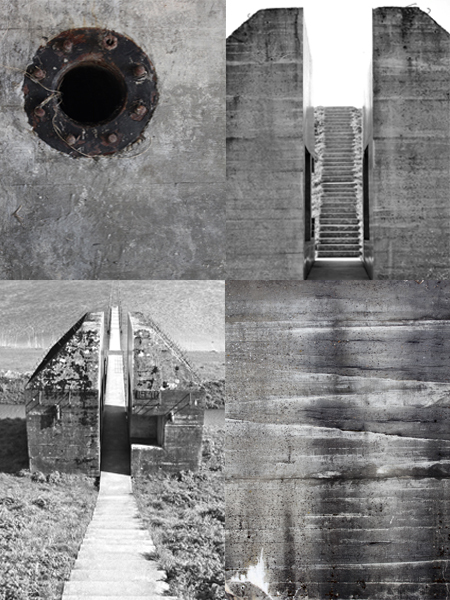 RAAAF (Rietveld Architecture-Art-Affordances) created a beautiful piece of land art by slicing the seemingly indestructible bunker open. A new Dutch national monument is born due to this intervention. I must have past this silent slice of serenity, at least hundred times on the A2 highway, before I noticed it and finally entered this concrete stairway linking heaven, water and earth.